A few months ago I shared with you about my lonely world and how baby groups are just not my thing. I still don’t like the baby groups where you turn up on your own and there are a few toys for the children to play with and a cup of coffee for the parent. I just find them to intimidating and cliquey, I tried them and they are just not for me. But, after writing the post I thought that I would make an effort and try again. This time I decided to join a group which was more structured and was familiar to me. I signed Holly and I up for toddler sensory classes, I did baby sensory classes with both Alice and Holly and they loved it. It felt the most natural one for us to join, I knew the lady that ran the class, it was a structured class with activities so I didn’t feel the pressure to talk to people and it was on a morning that Alice was at preschool. I thought I would feel nervous the first time Holly and I went, but weirdly I didn’t. I guess knowing what to expect helped, knowing that if no other mum’s spoke to me, it didn’t matter I wasn’t going for that. I was going for Holly, for her to explore, develop and have fun. Plus, it was forty five minutes of my life, whats the worst that could happen! Holly reminds me of myself when I was little in these circumstances. She keeps close to me, makes excuses to go back to where our bag was, taking her time to warm up to her new surroundings. But, then all of a sudden her confidence will burst through and she is off. She enjoyed the free play part at the beginning of the session and went through the bouncy maze and down the slide like a pro. Running from one thing to the next. Then it was time to sit down in a circle for the group activities. I was a bit worried if Holly would sit still for this part, but she did without any trouble. I had visions of her being the one that runs off and the mum chasing after her. But, thankfully that wasn’t me. Every week there is a different theme and Holly has loved every one. It has been lovely to watch grow her confidence, to begin with she was a bit apprehensive about going into the middle to collect her sticks for the song. But, now she toddles off and doesn’t look back for me. So, for anyone out there who isn’t sure about baby groups and whether they are for you or not. I would say it’s about finding the right one for you. I asked my fellow bloggers what groups they take their little ones to, as it’s always great to have a recommendation. Beth from Twinderelmo and Emily from Emily and Indiana both love taking their daughters to Diddle Dance, which is a themed dance class aimed for eighteen month old upwards. They encourage parents and carers to join in and share the enjoyment with their diddi dancer. They have classes nationwide which you can find here. I am not the only one to enjoy sensory classes Kate from My Family Fever also loves to take her daughter Eliza. Baby and Toddler Sensory classes are nationwide and all the details are here. Jade from Raising the Rings and Jessica from Beauties And The Bibs have both loved taking their little ones to Hartbeeps. Hartbeeps is an award winning multi-sensory class for children right from birth. Beth from Twinderelmo also loves to take her daughters to Moo Music. This is what Beth says about it “It’s music based with puppets and dancing and Maggie the cow is the star! My girls loved it”. Alana from Baby Holiday takes her son to Sing and Sign. Over to Alana to tell you about it “We loved Sing and Sign, which is a nationwide class teaching baby sign language through song. We started when my son was around three months old, and did the babes course plus two stage one courses, so we were going until he turned one. It was so lovely when he started doing simple signs for us and showed just how much he’d picked up from the classes. One day I wondered what he was doing with his hands, and worked out he was signing for cheese! Alison from AnnieBobs took her son to Rhythm Time. Which is a music based class where they get to use lots of different instruments. It’s from birth – preschool. 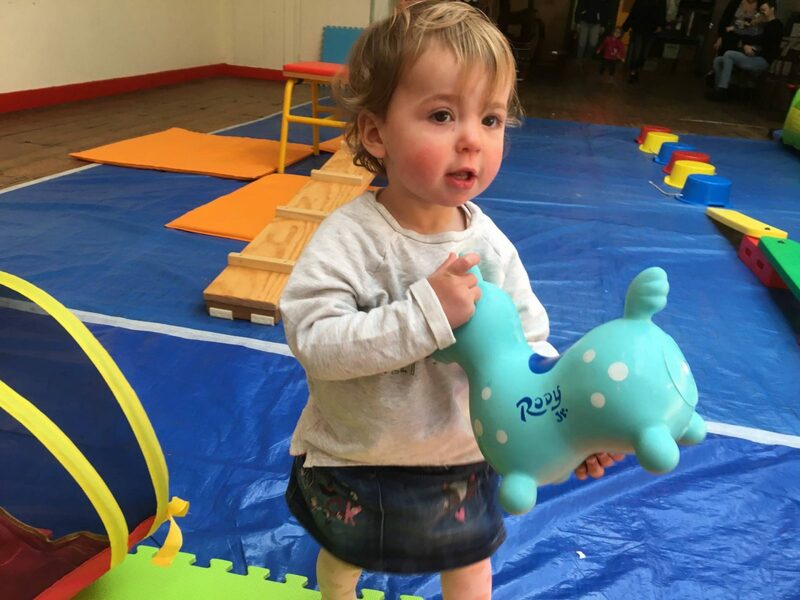 Over at Adventures with J, they have been enjoying going to Jo Jingles a music, singing and movement class. Here is what J’s mummy had to say “Jo Jingles is a music and movement class which my little boy loves. I tried quite a few and this was the only one he settled in”. Laura from Max and Mummy has loved taking her little one to Rugby Tots a dynamic weekly play session for boys and girls aged 2-7. Tumble Tots has programmes to suit children from six months old to seven years old. This is what Dave has to say about it – “We’ve been doing Tumble Tots for nearly a year now, graduating from Gym Babes to Tumble Tots. The classes are all about being active and developing gross motor skills. Activities include things like climbing up / down obstacles, balancing on beams, going through tunnels etc. Plus there’s activities like putting bean bags through holes, putting rings onto cones, as well as singing”. Little Kickers, which is a football themed class. 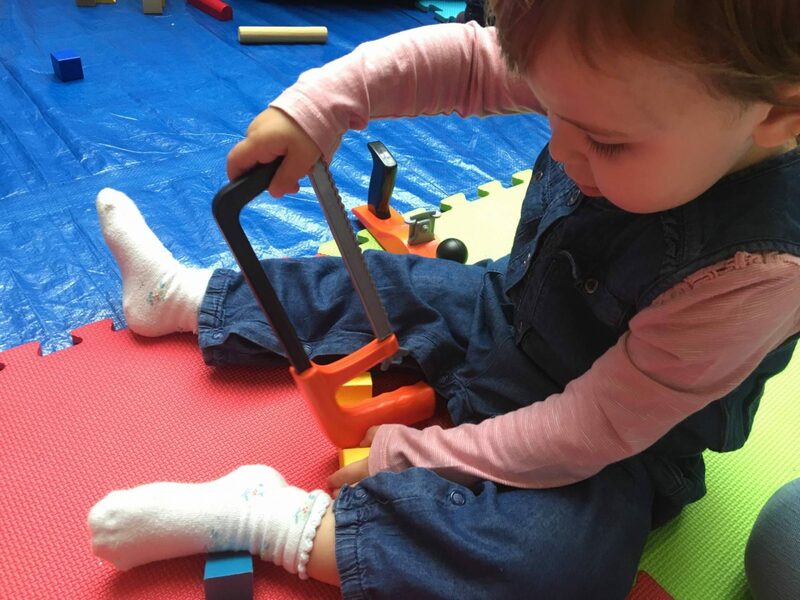 This is what Dave has to say about this one – “We’re in the Little Kicks class at the moment (18 months to 27 months). This uses football equipment, like footballs, mini-goals, cones etc to create activities. It also starts the fundamentals of getting them used to playing football, like throwing the ball over their head or doing little kicks into the goal”. Swimming – I have been taking my girls to swimming lessons at Water Babies since they were twelve weeks old and they both love it. Dave takes his daughter too and has been sharing every chapter that you go through. You can read his reviews here. And if you live in Cardiff, Heledd from Yummy Blogger tells you here all about the classes near her. I used to take my oldest to baby groups but I also felt out of place and since my son, who has Autism (though I didn’t know it at the time), always stayed to himself and I guess that made the other mothers resent me so they wouldn’t talk to me, I eventually gave up on it too. These groups have changed a lot since then. He’s 14 now so definitely a lot has changed so I’m glad there are many more options for you to choose from and that you found the one for you! I take my 6 month old to Baby Sensory and Baby Yoga and we love them both! I do understand these classes aren’t for everyone though. I didn’t enjoy the typical ‘coffee and play’ groups either – Max was never happy, so I found it difficult to chat – and I’m fairly shy in new social situations anyway! I much prefer a bit of structure to a group, exactly like you. 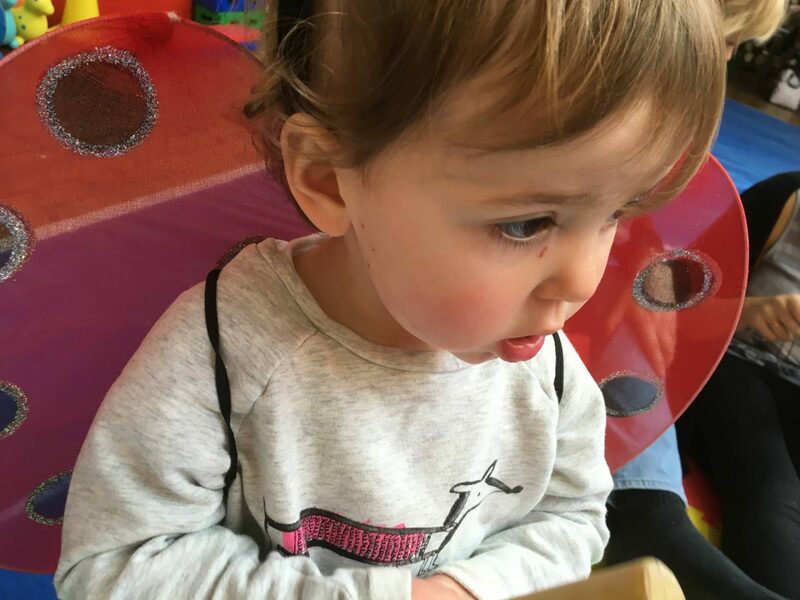 The one we’ve kept going to is Monkey Music, a bit like Jo Jingles – Max has really warmed up to it and on the whole enjoys it, and I like having something in the diary that we can go to every week. I wouldn’t say I’ve found any friends through it, although there are a couple of women who I chat to and like a lot. It’s takes a bit of a leap to turn that into a friendship though, doesn’t it! It’s so true that some baby groups really fit well and others just don’t. It really is a game of numbers! I’m so glad you found somewhere that you felt comfortable. It’s so easy to feel out of place at baby groups! Baby groups didn’t work for us too big we went a few times when the kids were younger. I attend a toddler group once a week which I love but I would love it if there was more ‘classes’ for our toddlers in my local area.